This past Wednesday, on November 28th, we had 28 Oster students recognized at our annual District Reclassification Ceremony. This special event honors students who have met the criteria to advance from an English Language Learner to a fluent English speaker. I am in awe of their ability to speak at least two languages fluently. 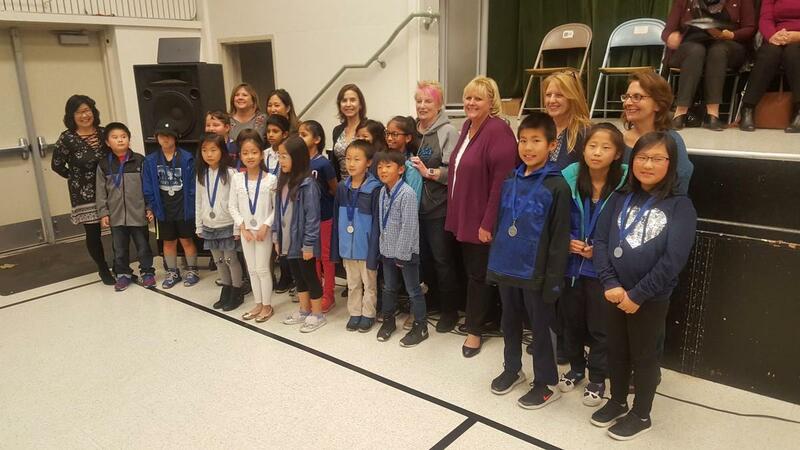 Congratulations to the following students: Pujithachandrika Bandi, Michah Weisun Bass, Ruoshui Chen, Abhijit Chilamakuri, Filip Dediu, Eric He, Kyle Young Lee, Rhea Lin, Emily Hoang Bao Chi Nguyen, Sanjana Pant, Ethan Wang, Lia Haneul Yoon, Ki Moon Bae, Jayden Le, Lena Lee, Linus Meng, Reina Grace Morikami, Taeho Noh, Uyen Thanh Ha Duc Chanthery, Dino Ajdin Garib, Jonathan Kim, Wari Aj Vimolnit, Sarah Ibrahim Motiwala, Isabella Padilla, Robert Lecheng Wang, Andrew Yang, Lina Yeojin Yoon, Siyuan Zhou!